We had all kinds of weather this week but the sunshine from the smiling faces was constant! People were taken out in boats, loads of kids (and adults) had a go at windsurfing (Helen from the bar being one of them) and sometimes the kids just jumped about on the windsurf boards because it was too windy but had a great time making new friends. Nearly everyone took to the water helming, crewing or going along for the ride, to do the on water treasure hunt. Even I crewed in an Omega!! Thanks to the Sunderland Astronomical Society for bringing along their telescopes to gaze at the sun. Unfortunately the sun was shy but that didn't deter Michael and his team. They brought along a water/air rocket launcher. The kids made rockets from 2 litre pop bottles (fantastic designs some of them) and then they were launched – and I mean launched. It was fantastic! Thanks also to the Keni and her team from Three River Serpents Dragon Boats. It was touch and go whether we would be able to paddle as the wind and waves were borderline for managing to turn the boat safely, but with their skill and encouragement two loads of people were able to paddle to the beat of the drum up and down the reservoir. 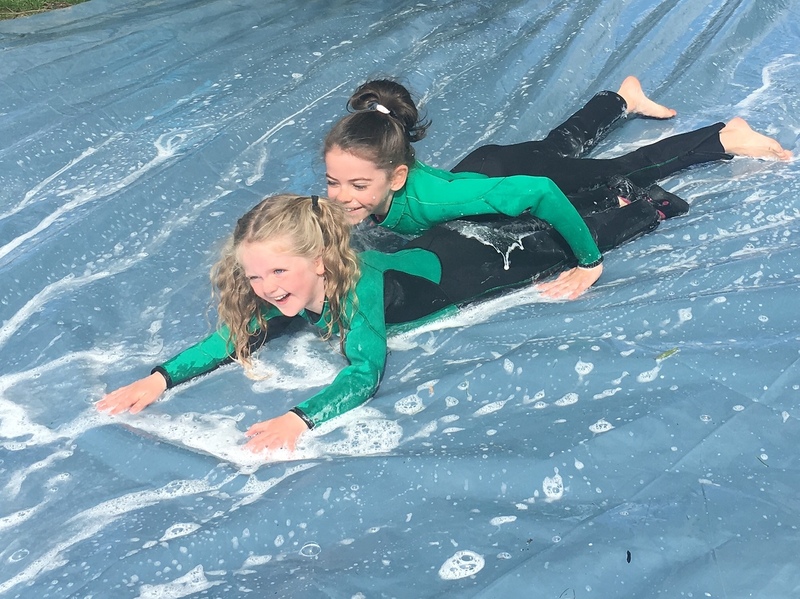 By the end of the week we had some very tired children, who were on the go all the time: sailing, windsurfing, treasure hunting on and off the water, playing table tennis, badminton and of course whizzing down the water slide. My very grateful thanks to all those who helped to make this a great week, be it on the water in a powerboat or giving tasters, in the bar, in the galley, face painting or organising children's activities. I know at least one visiting family who will be back as members - so a success all round. A quote from a youngster: "it was just the atmosphere: it was amazing"
Bring on next year – loads of people have come forward to be involved in organising – an extra bonus!